I’ve started going again to creative writing classes with Anne Aylor. 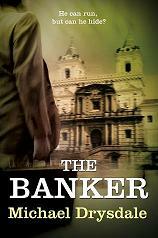 A couple of years ago I went to a few of her classes while writing The Banker. What I liked about her classes that as well as tutorials there are plenty of writing practice sessions on a given theme. Usually 3 or 4 students would read their work and the rest of us would comment. So in a couple of hours you get to listen to several different writing styles. The first topic was getting started writing your novel. I won’t attempt to summarize all we covered, just some of the points made. Write little but often. Just 250 words a day will result in 81,000 at the end of a year (70,000 words is regarded as the minimum for a full-length novel). Immerse yourself in your characters and their worlds. Think about what clothes they own , what shoes they might wear for a night on the town. You don’t have to start at the beginning; the writing need not be linear. Start where your ideas are flowing. Always have a writer’s notebook, preferably bound, to hand.